Albuquerque: University of New Mexico Press, 1992. 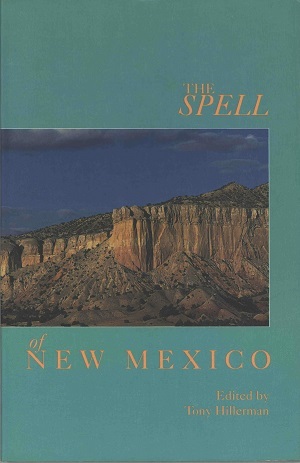 This is the sixth paper bound printing of The Spell of New Mexico, which was published in 1992 by the University of New Mexico Press in Albuquerque, New Mexico. The front cover photograph of a mesa side and top was taken by Mark Kane. Format: Paperback, 23.4 x 15.2 cm. Binding: Full-colored paper covers with the editor, title, and publisher printed on the spine in white.